Any idea what it costs to power the MCG? It’s up there (Cazaly). 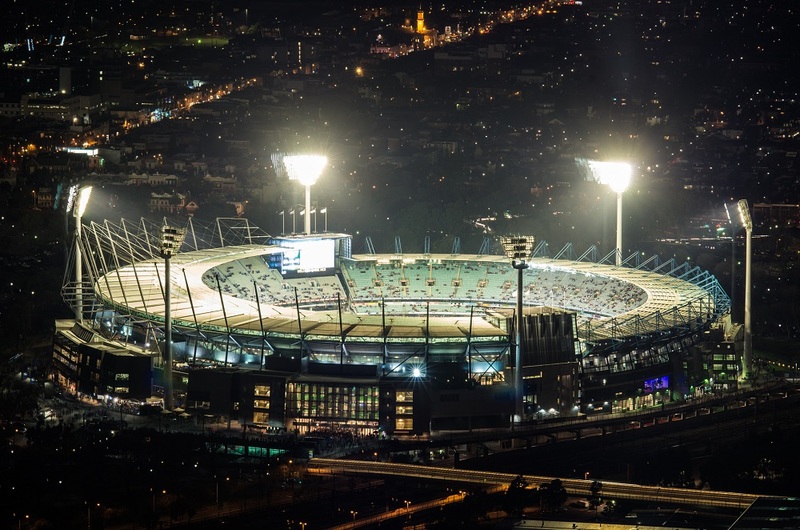 Whether you’re a footy fan or a clean energy enthusiast, September is set to be an exciting month at the Melbourne Cricket Ground (MCG). Australia’s favourite patch of turf has some massive energy demands, whether they be lights, electronic score boards, or air conditioning. No matter the season, the ‘G requires a significant amount of energy – equivalent to the amount required to power around 4,000 homes for a year. Its sheer scale means there are many opportunities to apply innovative energy technologies in order to keep the lights on, sustainably. We’re working with the Melbourne Cricket Club (stadium manager of the MCG) and their new electricity partner EnergyAustralia to explore the use of hybrid energy systems based on renewable energy, hydrogen, fuel cells and battery storage to better manage the stadium’s electricity consumption and reduce its overall greenhouse gas emissions. Fuel cells or batteries … why not both? Fuel cells combine gases oxygen (from air) and hydrogen (from a fuel tank). Batteries combine chemicals stored within their electrodes inside the battery. So why use a fuel cell instead of a battery, and how can both be used in a hybrid system? The first reason relates to the fuel – you can store much more energy in a fuel than you can in a battery because a fuel tank is much cheaper than battery electrodes. This makes it cheaper per unit of energy to store energy in a fuel – energy normally measured in kilowatt hours (kWh). As well as being cheaper, a fuel like hydrogen can be stored indefinitely in a tank, whereas batteries slowly drain once charged. The advantage of batteries is they offer a lot of power for very little expense. In a ‘hybrid system’ (for example, when you combine the battery with a fuel cell) you get all the power (measure in kilowatts – kW) of a battery with all the cheap energy storage (kWh) of a fuel cell. Combining these technologies means you can store a lot of energy for a long time. Meanwhile, back at the lab we’re connecting fuel cells to batteries, to wind turbines to solar panels, etc. It’s all part of cutting-edge research at our Centre for Hybrid Energy Systems. We are faced with a very Australian problem – hot weather. On very hot days in every home and business across the country, air conditioning has to work much harder and extra power is used to run that cooling. And those few very hot days in the summer cost everyone big time because we have to build the electricity grid and power stations large enough to meet the peak demand. So how might a fuel cell help in hot weather, particularly at large venues like the MCG? We are hoping to ‘supersize’ the amount of energy stored in the stadium’s backup power systems by adding a fuel cell and a large fuel tank. This will allow the stadium to call on stored energy to assist in the start-up of the air-conditioning plant, which in turn will reduce the MCG’s peak demand on the electricity grid. Our Energy Director Karl Rodrigues said that we are seeing new energy technologies – like these hybrid systems – develop and come to market at unprecedented pace. 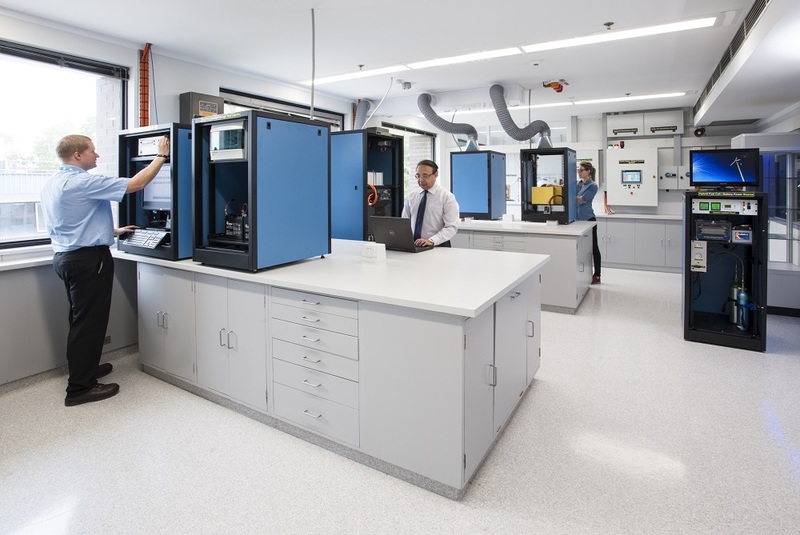 “CSIRO is pleased to support EnergyAustralia and the MCC to better understand these emerging technologies, particularly around integration of energy storage,” said Karl. At our Centre for Hybrid Energy Systems, we're researching how renewable energy, fuel cells and batteries can best work together. So, I assume up until now the electricity is from coal fired power? there really is no reliable alternative yet! The main drawback of fuel cell is its slow response in load tracking (when load increases) which causes voltage drop or even black out of the system. On the other hand, battery’s response time is fast but stored energy is limited. So the best state is to use them together as the battery is needed to compensate slow response of the fuel cell.